After suffering a tragedy, Jack goes to Thailand to escape and to maybe start to piece what happened together. Marcia Kimpton's tale of a lost soul looking for answers is surprisingly good. I went into the film because I thought the mixing of drama and philosophy sounded interesting, however I was wary because I've seen several films recently that have tried to mix the two subjects and failed miserably. Kimpton manages to balance things nicely and keep our interest from start to finish thanks to an intelligent script and a good cast. 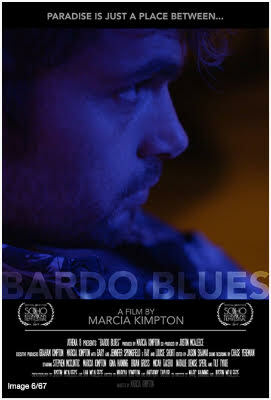 While there are some bumps along the way, due no doubt to the troubles in getting the film made, BARDO BLUES manages to end up as a solid little film, definitely worth a look for anyone curious in who we are and how we deal with tragedy (as well as a few things I dare not mention lest I give some of the plot away). my son was there to see this film and when he came home, he just raved about it.